1 YRS Shenzhen Kawish Technology Co., Ltd.
1 YRS Foshan Bolaimei Electrical Technology Co., Ltd.
1. Do you have you own factory9 Yes, we are professional manufacturer mainly in power inverter for about 16 years. 3. How long is the warranty period for the battery charger9 Normally the warranty period is one year. 5. Do you have Bearing test of the battery charger9 Yes, We have a special test team, to ensure its security. 3. A built up fan is also attached at rear of the unit to reduce heat during the operation. 4. This unit is also completed with fuse and ground control for extra protection if accident may occur. 5. This unit can be operated easily, even for first time user. 5 YRS Chengdu Lancol High Tech Company Ltd.
3 YRS Shenzhen Bvanki Technology Co., Ltd.
3. Tolerance: includes set up tolerance, line regulation and load regulation. 4. The power supply is considered a component which will be installed into a final equipment. 6. Maximum charging current will be in the range of 90~110% rated output current. 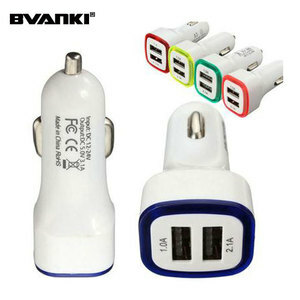 4 YRS Shenzhen Skyfavor Technology Co., Ltd.
China good price 6A 2 USB Quick Charge 3.0 Car Battery Charger 12 V Product description [ POWERFUL ] Qualcomm Quick Charge 3.0 Compatible on Port 1 which charges up to 4X Faster than Normal Chargers, That Super Fast Charge When Your On The Go and You Dont Have The Time For Just Normal, Port 2 is Equipped with ElectroPower 3.1A Which Can Charger up to 2.5X Faster than Normal Chargers [ EFFICIENCY ] Our Car Charger Can Easily Charge 2 Devices on the Go Fast and Is Compatible With any Usb Port, Efficient Without Sacrificing the Power [ SMART ] Intelligent Chip Will Find The Most Efficient Way To Charge Your Electronic Device and Will Not Output More Curent To keep Your Devices Safe and Charged [ DESIGN ] Made To Be Stylish, Sleek, Compact, Efficient and Built With led Light For Easy To Find Use At Night [ Warranty ] 110% Satisfaction Guaranteed, If For Any Reason You Are Not Satisfied With our Product Please Contact Our Customer Support Which is in Reach 24/7 and 365 days Product Name China good price 6A 2 USB Quick Charge 3.0 Car Battery Charger 12 V Use car charger quick charge 3.0 Mobile Phone , Pad , MP3/MP4 etc. 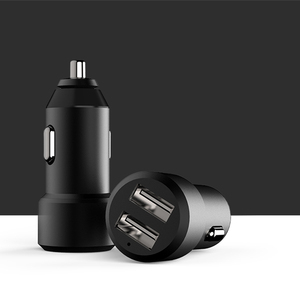 USB Port 2 ports car charger quick charge 3.0 Output 1 DC 5V / 3.1A 9V / 1.8A 12V / 1.8A Output 2 3.1A Version Qualicomm QuickCharger 3.0 car charger Input 12V - 32V qc3.0 car charger Type QC3.0 car charger Color Black White or OEM Materail ABS + PC Packing Opp bag or box packing Product Pictures China good price 6A 2 USB Quick Charge 3.0 Car Battery Charger 12 V Feedback Hot sale super fast mini mobile phone 2 usb QC3.0 Car Charger China good price 6A 2 USB Quick Charge 3.0 Car Battery Charger 12 V Welcome Please contact customer service for the cheaper freight. If you need more details, please don't hesitate to contact us, thanks. 9 YRS Jinan E-Shine Electronics Co., Ltd.
11 YRS Taizhou Genteck Electric Co., Ltd.
2. Over- load protection & thermal protection. We are factory with more than 10 years manufacturing experience. Q6. How can I talk to a live person and get a quotation9 A. 5 YRS Tianchang Youxin Electrical Equipment Co., Ltd.
2 YRS Xinchang Baide Electronic Co., Ltd.
,LTD,is a professional and experienced manufacturer of battery chargers and have strong development and design capability in Zhejiang China. With the development of our strong R&D team and our molding equipment, we are dedicated to all you O E M orders in accordance with your demands. 2. Excellent after-selling service 3.samples can be available as soon as possible. 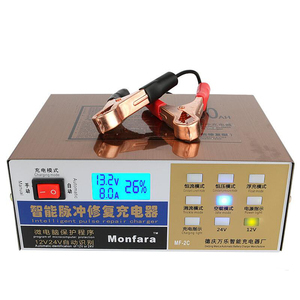 When the battery voltage rises to the set voltage, the charger automatically converted to constant current charging mode. 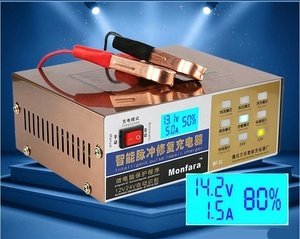 Constant Current Mode: When the battery voltage is lower than the charger voltage is set constant current charging mode, the battery charger provides constant charging current. Please inform us formally before our product and confirm the design firstly based on our sample. 8 YRS Foshan Suoer Electronic Industry Co., Ltd. Reverse polarity protection When the charger is not charging state, the output clips polarity connect reversely ,then the charger will enter the protection model ;it does not have any adverse impact on the performance of the charger . 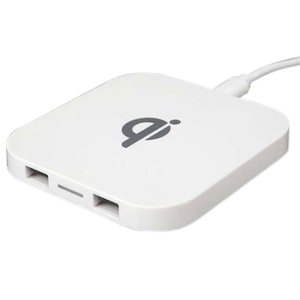 Short circuit protection : If the clips are connected each other ,the charger will enter the protection mode when the short circuit occurs ,And this would not damage the charge at all . 6. Where is your main market for your products9 Answer: Most of our Suoer brand products are exported to Southeast Asia, Africa and Mid East. 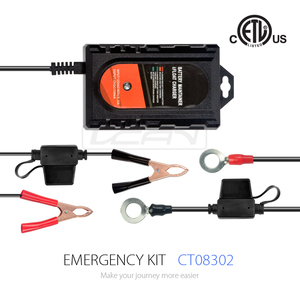 Alibaba.com offers 55,810 car battery charger products. About 33% of these are charger, 9% are car charger, and 6% are emergency tools. 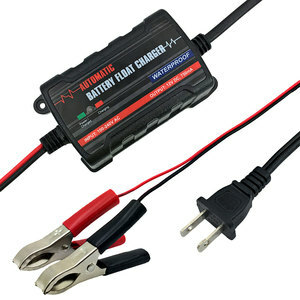 A wide variety of car battery charger options are available to you, such as jump start, usb charger. You can also choose from mobile phone, computer. As well as from free samples, paid samples. 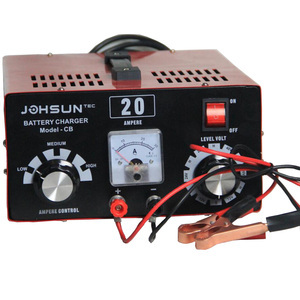 There are 55,810 car battery charger suppliers, mainly located in Asia. The top supplying country is China (Mainland), which supply 100% of car battery charger respectively. 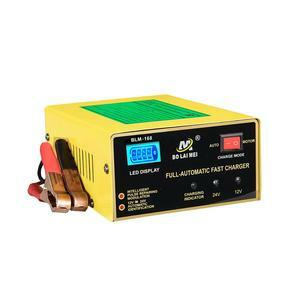 Car battery charger products are most popular in North America, Western Europe, and Domestic Market. You can ensure product safety by selecting from certified suppliers, including 15,841 with ISO9001, 3,600 with Other, and 2,518 with ISO14001 certification.